On a sharp winter's morning, a man turns his back on prison. Joseph Scott has served his term. He's lost almost everything: his career as a teacher, his wife, the future he'd envisaged. All he has left are his three children but he is not allowed anywhere near them. This is the story of Joseph, who killed his wife, Zoe. Of their three children who witnessed the event. Of Zoe's parents, Hannah and Frederick, who are bringing up the children and can't forgive or understand Joseph. Start reading The Son-in-Law on your Kindle in under a minute. How can you forgive the unforgiveable? 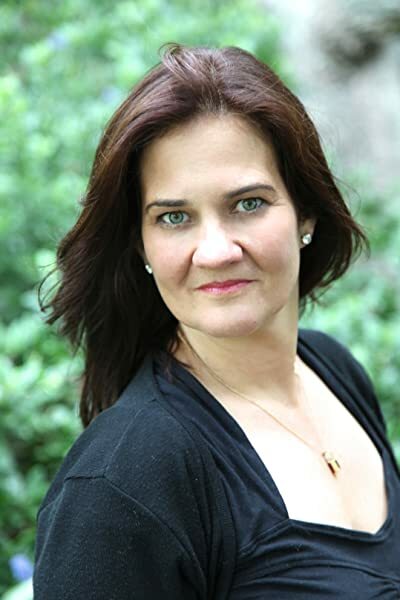 The exceptional new novel from Richard & Judy author Charity Norman proves her star is still rising. The Son-In-Law is the story of three children, Scarlet, Theo and Ben, their grandparents Hannah and Freddie, and their father, Joseph. The complicating factor is that four years ago, Joseph killed the wife, mother and daughter who linked them all together. The children have been living in calm middle-class domesticity with their grandparents ever since while Joseph serves four years of his prison sentence. But now Joseph is a free man again, and is intent on rebuilding a relationship with them. 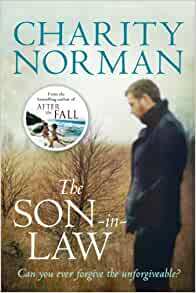 The opening chapters of The Son-In-Law read rather like a psychological thriller, with Joseph playing the role of a dangerous, disruptive presence apparently determined to reclaim his children from the stabilising influence of their loving grandparents. Joseph, after all, was unequivocally responsible for the death of Zoe, which occurred in front of all three children. But it gradually becomes clear that the situation is far more complex than it appears on the surface. A lot has been kept from us - and, in fact, from Scarlet, Theo and Ben. The Son-In-Law then becomes a relationship-focused novel about tough questions and agonising compromises. There were times when I found The Son-In-Law's emotional rollercoaster a somewhat draining ride - not because it's a difficult read (it isn't at all) but because the story unfolds from three different points of view and we are constantly being asked to shift our sympathies from one character to another. This, however, is certainly one of the book's strengths, rather than a point against it. What I did find to be a weakness, and which made me rather uncomfortable at times, was the portrayal of the late Zoe, who is depicted by turns as a mercurial, bewitching genius and a selfish, unstable monster as a result of her mental illness - even her maiden name, Wilde, is telling. I'm tired of people like Zoe being treated in fiction as if they are somehow 'other' rather than ordinary human beings with a mental health condition that could affect any one of us. Of the three characters from whose perspective the story is told, Scarlet, a bright, curious teenager whose circumstances have made her mature beyond her years, emerges as the clearest and most engaging voice. Hannah, the grandmother who has brought up Scarlet and her brothers while grieving for the loss of her daughter and coming to terms with the failing health of her somewhat older husband, is by necessity a much less appealing character but certainly a convincing one and for all her faults, it's certainly hard not to empathise with her. For me it's Joseph who seems the least well-drawn of the principal characters. For the moral questions of forgiveness and reconciliation to be addressed fully, it's hard for the author to make Joseph entirely three-dimensional: if we're to come to terms with the manner of his wife's death, it's necessary for him to be positively saintly in all other aspects of his existence, which simply doesn't ring true. The Son-In-Law is, however, a perceptive and thought-provoking read, and its relatively light, easy style and neat resolutions don't stop it from asking uncomfortable questions of its readers. I was conflicted at parts of this story. It revolves around husband Joseph killing his bi-polar wife and mother of his three children right in front of their very eyes. As the story progresses, we find out the circumstances behind the brutal act and I think the author is trying to make us sympathise with Joseph's reasons for killing and eventually feel sorry for him. Truth be told, I didn't sympathise and I didn't feel sorry for him. Most of the book is about the ongoing war between Joseph and his dead wife's parents. Joseph, after being let out of prison wants custody of his children who have been in his in-laws care. Of course, the in-laws are reluctant and horrified at the prospect and I was totally with them throughout. Perhaps I'm just a massive judgemental cynic. I did however, enjoy reading this. I read this book in two days, it was gripping. The story opens with the awful event, but you don't know the circumstances leading up to it, yet. Its as though Charity Norman has thrown the rule book away, realistically speaking we join the story in the middle. We then gradually learn why/how the event happens as we also learn how those left behind cope with it. This is a story about ordinary people trying to deal with exceptional circumstances. The dad Joseph is not an evil person, he is not even a bad person. He is a person that has killed his wife. His wife's parents take in the three grandchildren whilest dad spends three and a half years in prison. When he gets out he understandably wants to see his kids and it is here that we take up the story. For the grandparents this is their worst nightmare after the death of their daughter. POSSIBLE SPOILERS: A good sign that I like a book is that I don't go days between reading. I thought the characterisations were good, and I had empathy with the parents, but as the story progressed, also with the son-in-law. It was apparent early on that there was a lot more to it than domestic violence. I especially liked the children. I agree with some reviewers that the ending was a bit sweet, but I quite like sweet. Sometimes I read for pure escapism, not realism. If the story holds me, I can handle the unlikely. would have bet my month's wages that she would have reflected on this action, and thought that was the reason it happened. In fact, I feel that it would have added a touch of realism to the way the grandmother eventually viewed her son-in-law. An enjoyable read. Although enjoyable isn't the right word as the subject was quite disturbing. I would certainly read more from this author.